Chakra is a sanscrit word from the Hindu Tradition meaning "vortex" or "wheel". These spinning vortexes of energy are our intimate connection to our soul. Chakra energies carry the story of our soul's own unique journey, and as such, are an intricate component of the mind, body, spirit approach to wellness. Entering the realm of the chakra energy is a scared space to explore. Chakras are the body's "energy stations". These stations interact with each other and are constantly interacting and exchanging energy with the Universal Energy Field. Stagnant, blocked energy can affect our physical bodies as well as our thoughts and emotions. Matter follows energy, so the underlying message is that in order to promote better health and well being, we need to keep the energy flowing and fresh in these vital energy stations! Chakra energies further feed meridian energies - the latticework that animates us is a mosaic of interacting energies! 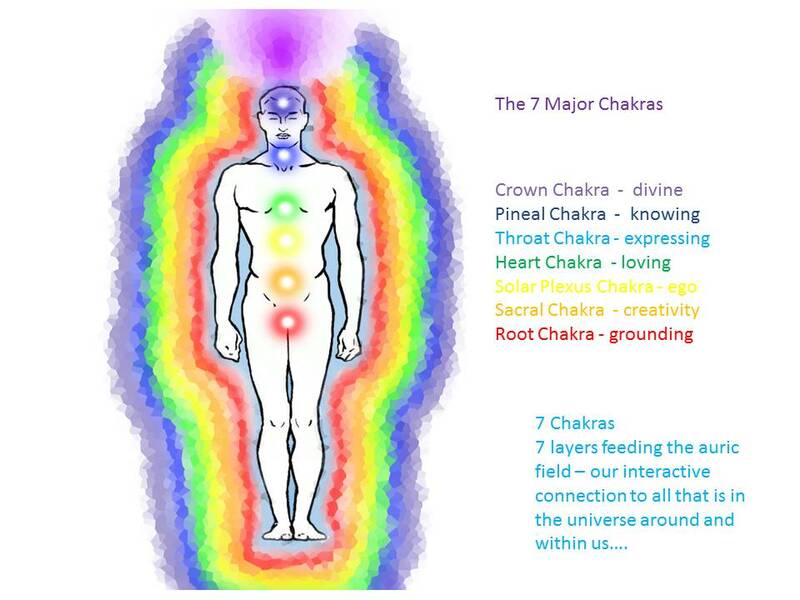 There are seven major chakras, and within them, seven layers of energy. Additionally, there are numerous minor chakras, including those in our palms. Coming soon, we will explore the effectiveness of using our palms as tools to effectively clear stagnant energies within our fields. Note also that pain often presents as a vortex within the energy field. We'll also be learning techniques to relieve pain and bring fresh energy to injuries for accelerated healing! Bookmark this page or sign up to be notified when this new tutorial is ready for launch!